A Wrench is a tools used to provide grip and mechanical advantage in applying torque to turn objects- usually rotary fasteners, such as nuts and bolts- or keep them from turning. Established in 1965, Unique Tools is pioneering the industry by being a distinguished supplier, trader, retailer and wholesaler of high quality Mechanical Tools. Since inception, our integrity helped us to build the reputation, which is being carried forward by our offered extensive range of tools, such as Spanner Tools, Ring Spanner, and Impact Sockets. We believe quality should be the foundation behind our success, hence cater a wide range of products that are rigorously tested for quality, reliability, superior performance, and longevity. In addition to this, the reason behind our established reputation is the cost effectiveness of our offered products that made us trustful business partner for our valued clients. We trade our products under the brand name of Taparia, Everest, Jhalani and Ambika. 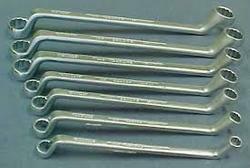 We also offer Imported Second Hand Spanner and Tools to our valuable clients. So far we have achieved a standing for excellence by supplying our high caliber product portfolio to various industrial segments. We execute various stages such as, quality testing, inventory management, supply management and timely delivery to meet the complex needs of our prestigious clients. To achieve the utmost level of client satisfaction, we have partnered with industry’s recognized vendors to bring forth an innovative and exclusive range of acknowledged product range. More over, the winning spirit and dedicational value of our team members has been the firm base for our company from more than 50 years. The fortitude is deepened in our core and equips us to be the leading entity for ever.